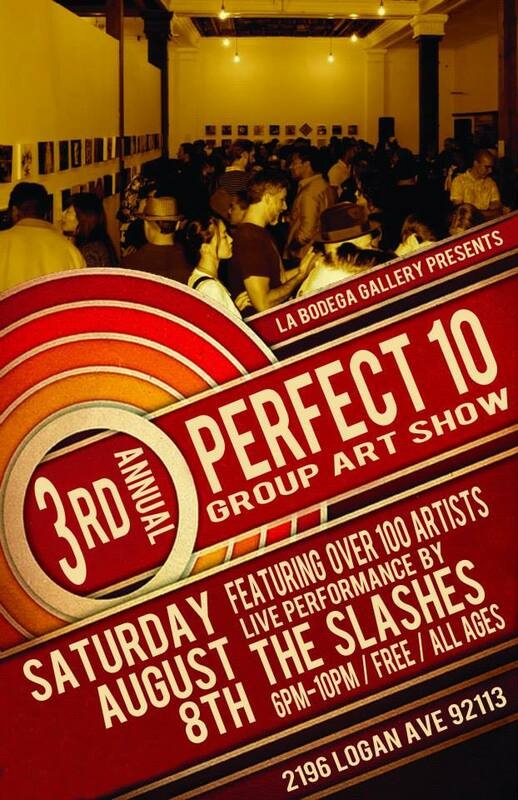 "Past" 3rd Annual "Perfect 10" Group Art Exhibit at La Bodega Gallery . Featuring over 100 talented artists. All working in the medium of their choice with the only rule that the piece they turn in be a perfect square of 10in. x 10in. Participating artists range from High School Students to well established artists. La Bodega Gallery & Studios is a 9,000 sq.ft. historical building located in the heart of Logan Heights. The mission for this space is to create a public community center for artists of all genres to raise public consciousness about the value of art to the up and coming neighborhood and City of San Diego.